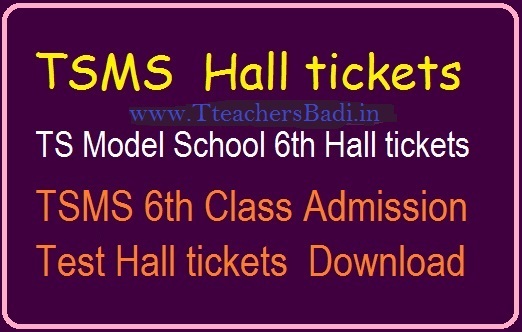 Telangana Model School Hall Tickets 6th/ 7th/ 8th/ 9th/ 10th Class Admission Test Hall ticket 2019 : TS Model School Admission test Hall Tickets 2019 TSMS 6th, 7th, 8th, 9th, 10th Class Admission Exam Hall tickets available now. Telangana Model School Hall Tickets 2019 TSMS Admission Test 2019 Hall tickets Download at Official website telanganams.cgg.gov.in, TSMS Hall tickets 7th Class Exam Hall Tickets for TS Model School 8th Class/ 9th Class Admission Test Hall Tickets for 9th Class and 10th Class Admit Card Admissions in Telangana Model Schools 2019-20. Telangana Model School Admission for 7th Class, 8th Class, 9th Class and 10th Class Entrance Test Conducted on 18-04-2019. TSMS online Application Form submission successfully completed from 28-01-2019 to 08-03-2019, Telangana Model School Admission Selected candidates Publication of Merit list on 11-05-2019. APPSC Departmental Test November Session Hall tickets Download APPSC Departmental November 2015 Session Test Hall tickets Download APPSC Departmental Test Hall tickets: The APPSC released the hall ticket for Departmental Test November, 2018 session to be held from 10/11/2018 to 15/11/2018 are hosted on Commission’s website for downloading from 03/11/2018 till last date of examinations. Download Hall tickets for EO (Code:141),GO (Code:88 & 97), Language Test (Code:37) Departmental Tests November 2018 Session Hall Tickets available @appsc Official Website. The candidates shall download the Hall Ticket along with the guidelines and instruction to the candidates and report to examination centre one and half hour before the commencement of the test with proper ID proof in original for admission to the tests. DST Haryana Recruitment 2018 Notification for 1409 Conductors and Heavy Vehicle Driver Vacancies Apply at www.hartrans.gov.in. How To Apply for DST Haryana Department of State Transport, Haryana Jobs 2018, DST Haryana Recruitment 2018 - 1409 Conductors, Driver Posts DST Recruitment 2018 2019 | DST invites Application for the post of 1409 Conductors, Heavy Vehicle Driver Posts. DST Conductors, Heavy Vehicle Driver Jobs Notification 2018 Released. Candidates are requested to Download Application through Official website www.hartrans.gov.in. Department of State Transport, Haryana inviting Offline Applications for Conductors, Heavy Vehicle Driver vacancies at Haryana State. Last Date is 25-10-2018. DST Haryana Conductors, Heavy Vehicle Driver Recruitment 2018 – 1409 Posts Apply Now (Last Date: 25-10-2018), DST Haryana Recruitment 2018 Details. Vacancy Details of DST Haryana Jobs 2018Eligibility Criteria for DST Haryana Conductors, Heavy Vehicle Driver Notification, Educational Qualifications, Age Limit, Salary Details for DST Haryana Conductors, Heavy Vehicle Driver Jobs, Selection Process, Application Fee for DST Haryana Notification, How to Apply for DST Haryana Recruitment 2018-19 and Important Dates for DST Haryana Recruitment 2018 Important Links for DST Haryana Conductors, Heavy Vehicle Driver Application. DST Haryana Recruitment 2018: Good News Aspirants!!! Here is the one more opportunity came from Department of State Transport, Haryana for candidates who are looking for settle in Haryana Govt Jobs. Recently Haryana Government has issued DST Haryana Conductors, Heavy Vehicle Driver notification 2018. This notification is regarding fill up 1409 Posts for Conductors, Heavy Vehicle Driver. So, Don’t miss the chance to enter into the Haryana Govt job Sector. This is the right time to fill up Haryana Conductors, Heavy Vehicle Driver Application form. The candidates who are eligible for this DST Haryana Conductors, Heavy Vehicle Driver Jobs 2018 can apply through the official website. DST Haryana Recruitment 2018 – Apply Offline for Conductors, Heavy Vehicle Driver Posts: Department of State Transport, Haryana (DST Haryana) has advertised a notification for the recruitment of 1409 posts of Conductors, Heavy Vehicle Driver vacancies. Eligible candidates can apply online from 19-10-2018 to 25-10-2018. Other details like age limit, educational qualification, selection process & how to apply for DST Haryana Jobs are given below. Interested Job Aspirants who are ready to apply for Department of State Transport, Haryana 2018 Notification must possess the below-given Eligibility Details. Selected candidates will get Rs. 19,900/- (Post 1), Rs. 25,500/- (Post 2) by the Recruiting Organization. Eligible and Interested Aspirants are requested to Download Application Form from Below link of hartrans.gov.in Website and Submit it to the mentioned Address before the Last Date i.e., 25-10-2018. How to apply DST Conductors, Heavy Vehicle Driver Vacancy? Step 7: Hard Copies of the signed application (registered online) along with photocopies of (i) ID proof (ii) Proof of Date of Birth (iii) Educational Certificates: Mark-Sheets/Degree Certificate (iv) Caste and attested copies of relevant documents should be addressed to “Office of the General Manager, Haryana Roadways” by post so as to reach us by 25.10.2018. TS/ AP SA 1 Model question Papers 6th 7th, 8th, 9th and 10th Class 2018-19 : Telangana/ AP SA 1/ Summative I Model Question Papers for High School Classes 2018-19 : 6th/ 7th/ 8th/9th and 10th Classes All Subjects SA 1 Telugu, English, Mathematics, General Science, PS( Physical Science), Biology (BS) and Social Subjects Question Papers. SA1 Model Papers/ Sample Questions, SA-1 previous question papers for 6th Class SA 1 Old question Papers, 10th Class SA 1 question Papers, 7th Class SA I question Papers, 8th Class SA 1 question Papers and 9th Class SA 1 question Papers. 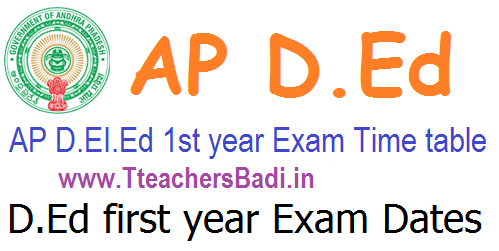 AP Summative 1/ SA 1 Quarterly Exam Question Papers and 6th to 10th Classes All Subjects SA 1 Question Papers Download for AP Schools. Telangana/ Andhra Pradesh High School SA 1 SA2 SA 3 Summative 1 SA 1Model Question papers for 6th 7th 8th 9th 10th Classes All Subjects –Telugu, English, Mathematics, General Science, PS, Biology and Social Question Papers Download. JNV Navodaya 6th Class Entrance Test 2019 Online Registration Application Form Download : JNV Navodaya 6th Class Entrance Exam 2018 | JNVS Jawahar Navodaya Vidyalaya Entrance Exam 2018 Entrance Test 2018| JNVS Selection Test 2018|JNVST 2018 Admission Form, Navodaya Vidyalaya Class 6th Entrance exam 2018 notification | JNVST Entrance Test 2018 Navodaya Vidyalaya Selection Test | Navodaya Vidyalaya Admission 2017-18 for Class 6th and 11th | JNVST Navodaya 6th Class Entrance Exam 2018 | JNVST 2018-19 Navodaya Vidyalaya Class 6th Admission Form | Navodaya Vidyalaya Samiti | Navodaya Vidyalaya Class 6th Admission Form 2017-2018 | JNVST Admissions 2018 Entrance Application 6th/ VI Class Admissions 2018 Entrance Application Jawahar Navodaya Vidyalaya Entrance Exam 2018 Jawahar Navodaya Vidyalaya Entrance Exam 2018,Jawahar Navodaya Vidyalaya Entrance Exam 2018 Class 6th, JNVST 2018-19 Navodaya Vidyalaya Class 6th Admission Form, JNVST Admissions 2018 Entrance Application 6th/ VI Navodaya,JNV Selection Test 2018-19 - NVS Class VI Admission 2019 | Navodaya Entrance Exam 2018 Notification for admission into Navodaya schools Navodaya Entrance Exam 2018| JNVS Entrance Test 2018/JNVS Selection Test 2018| JNVST 2018-19 Navodaya Vidyalaya Class 6th Admission Form, JNVST Admissions 2018 Entrance Application 6th/ VIth Navodaya,JNV Selection Test 2018-19 - NVS Class VI Admission 2019 | Navodaya 6th class entrance exam, Navodaya 6th class Entrance test , Navodaya Class VI Entrance Exam 2018, Navodaya Vidyalaya 6th class Entrance Exam 2018, Jawahar Navodaya Vidyalaya 6th class Entrance Exam 2018, JNV 6th Class Entrance Exam 2018, Javahar Navodaya Vidyalaya admission test 2018, JNVS 6th class selection test 2018, JNVS Selection Test for Class VI admissions 2018, Conduct of Navodaya Entrance Test 2018 for Admission to Class VI Vacant Seats.Jawahar Navodaya Vidyalaya Entrance Exam 2018,Jawahar Navodaya Vidyalaya Entrance Exam 2018 Class 6th. JNV Selection Test 2018 Schedule tp be released for conducting the 6th class entrance exam across the country in all the States for 6th Class Admissions in JNVs. So, Navodaya Entrance Test 2018 notification would be released in the month of OCTOBER in every year for admission into Class VI in Navodaya Vidyalayas for 2018-2019. JNV Selection Test 2018 details, eligibility, application form, schedule, important dates, how to apply, how to fill the application form, Entrance Exam date, Last date for apply, Results/Selected Candidates list and more details are provided here. JNV Navodaya 6th Class Entrance Exam 2018 Notification JNV Navodaya 6th Class Entrance Exam 2018 | JNVS Jawahar Navodaya Vidyalaya Entrance Exam 2018 Entrance Test 2018| JNVS Selection Test 2018|JNVST 2018 Admission Form, Navodaya Vidyalaya Class 6th Entrance exam 2018 notification | JNVST Entrance Test 2018 Navodaya Vidyalaya Selection Test | Navodaya Vidyalaya Admission 2017-18 for Class 6th and 11th | JNVST Navodaya 6th Class Entrance Exam 2018 | JNVST 2018-19 Navodaya Vidyalaya Class 6th Admission Form | Navodaya Vidyalaya Samiti | Navodaya Vidyalaya Class 6th Admission Form 2017-2018 | JNVST Admissions 2018 Entrance Application 6th/ VI Class Admissions 2018 Entrance Application Jawahar Navodaya Vidyalaya Entrance Exam 2018 Jawahar Navodaya Vidyalaya Entrance Exam 2018,Jawahar Navodaya Vidyalaya Entrance Exam 2018 Class 6th, JNVST 2018-19 Navodaya Vidyalaya Class 6th Admission Form, JNVST Admissions 2018 Entrance Application 6th/ VI Navodaya,JNV Selection Test 2017-18 - NVS Class VI Admission 2017 | Navodaya Entrance Exam 2018 Notification for admission into Navodaya schools Navodaya Entrance Exam 2018| JNVS Entrance Test 2018/JNVS Selection Test 2018| JNVST 2018-19 Navodaya Vidyalaya Class 6th Admission Form, JNVST Admissions 2018 Entrance Application 6th/ VIth Navodaya,JNV Selection Test 2017-18 - NVS Class VI Admission 2017| Navodaya 6th class entrance exam, Navodaya 6th class Entrance test , Navodaya Class VI Entrance Exam 2018, Navodaya Vidyalaya 6th class Entrance Exam 2018, Jawahar Navodaya Vidyalaya 6th class Entrance Exam 2018, JNV 6th Class Entrance Exam 2018, Javahar Navodaya Vidyalaya admission test 2018, JNVS 6th class selection test 2018, JNVS Selection Test for Class VI admissions 2018, Conduct of Navodaya Entrance Test 2018 for Admission to Class VI Vacant Seats.Jawahar Navodaya Vidyalaya Entrance Exam 2018,Jawahar Navodaya Vidyalaya Entrance Exam 2018 Class 6th, JNV Selection Test 2018 Schedule tp be released for conducting the 6th class entrance exam across the country in all the States for 6th Class Admissions in JNVs. So, Navodaya Entrance Test 2018 notification would be released in the month of OCTOBER in every year for admission into Class VI in Navodaya Vidyalayas for 2018-2019. JNV Selection Test 2018 details, eligibility, application form, schedule, important dates, how to apply, how to fill the application form, Entrance Exam date, Last date for apply, Results/Selected Candidates list and more details are provided here. Navodaya Entrance Exam 2018,JNVS Entrance Test 2018,JNVS Selection Test 2018. Jawahar Navodaya Vidyalaya Samiti Entrance Notification 2018 to be announced as per schedule in each district of all States of India. This notification was announced through press media by the NVS Regional Officials. NVS Officials will invite the applications from eligible candidates for admission into class VI for academic year 2018-19. To provide all round quality education to talented children from rural areas. To ensure that students obtain a competency in three languages. To promote national integration. To serve as a focal point of quality education in each district of the country. Duly filled in application form must reach the Block Education Officer latest by 16th September, 2017(Tentative-Not declared last date). It shall be signed by the Head of the recognized school/Special Education Scheme (Sarva Shiksha Abhiyan) where the child is studying in Class-V, on or before 16th September, 2017(Tentative-Not declared last date). (Candidates are advised to get the acknowledgement from the BEO at the time of submission of Application Form). “Hearing Impairment” means loss of sixty decibels or more in the better ear in the conversational range of frequencies. “Locomotor disability” means disability of the bones joints or muscles leading to substantial restriction of the movement of the limbs or any form of cerebral palsy. “Person with disability” means a person suffering from not less than forty percent of any disability as certified by a medical authority. No change in the answer once written is allowed. Overwriting, cutting and erasing on the Answer Sheet is also not allowed.